Vehicle and truck mounted access platforms are ideal for a wide range of jobs on and offsite and are able to move between jobs quickly and safely. Third: loaded safely to minimise the risk of over-tipping or subsidence. All mobile access platforms are subject to a Maximum Allowable Mass (MAM) which is the maximum weight that the vehicle that can be used on the road and includes the top weight that it can carry safely. The MAM can usually be found on the vehicle, such as inside the driver’s door, or in the model operations manual. It is important that anyone using the access equipment is aware of the MAM as over loading the vehicle will have serious implications for stability and may lead to dangerous accidents. MAM is explained in more detail on the Government website. It is always advisable to makes sure a powered access platform is safe to use and fit for purpose and for vehicle mounted access equipment, this also means making them road legal. 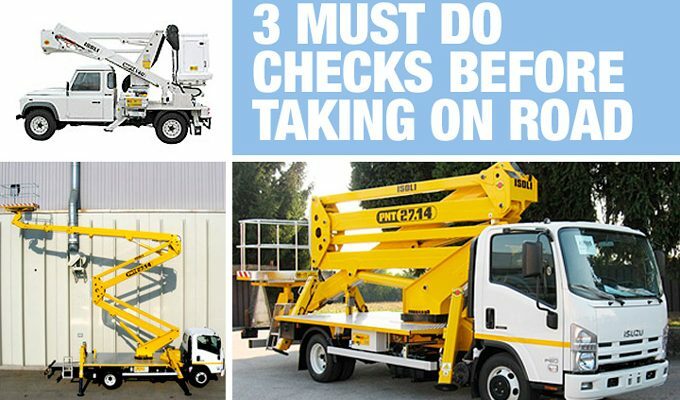 Make sure you are aware what type of mobile access platform you are working with and the relevant road regulations and MAM limitations and, when used correctly, they can save time and money on a range of jobs at height by moving safely and swiftly between locations. Powered access platforms are flexible and ideal for a range of different jobs at height. They can save money for businesses of all sizes, whether they are used frequently or on a job-by- job basis. Larger companies with multiple jobs at height can save on the rental costs by investing in their own equipment. With the extra advantage of being able to brand up their plant and train multiple operatives to use it, it is well worth considering. Owning your MEWP also allows flexibility in scheduling where and when it can be used across different projects. Smaller firms can save money by renting access equipment as they go which saves on the initial expense of buying new equipment, on-going storage costs and the maintenance and servicing of a machine that they won’t get regular use out of. 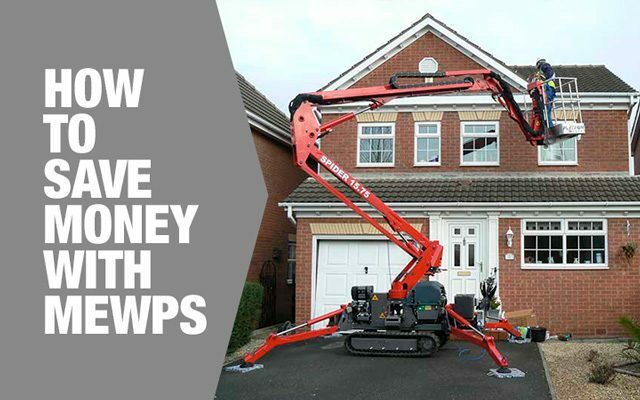 If business improves and rental costs begin to accumulate then it may be time to look at owing your own MEWP. Before jumping in with a large capital outlay, look at the thriving market for second hand and used access platforms which are a cheaper option. Traditional methods for working at height such as scaffolding take time to erect and take down which needs to be priced into a job. There will be circumstances where this is the best option for the job but powered access platforms are the safest and quickest way to lift people and equipment to significant heights. The access equipment can be brought to site, moved around if necessary and people lifted and lowered in a matter of minutes for a vast range of jobs. The mobility of access platforms also means they can be used for multiple jobs in different locations. More done in less time = saves money. Powered access platforms include a wide range of machines that have specialist features for different jobs and a variety of lift and outreach distances. Some machines such as boom lifts have the ability to reach over and around obstacles and others are able to operate off road and on all terrains. If narrow doorway access is required, there are compact MEWPs available. Selecting the correct equipment will save money by eliminating many of the potential problems and delays caused by using machines that are too heavy, inflexible or not fit for purpose. Access is essential to the success of many jobs at height and powered access platforms offer a solution to most working problems. 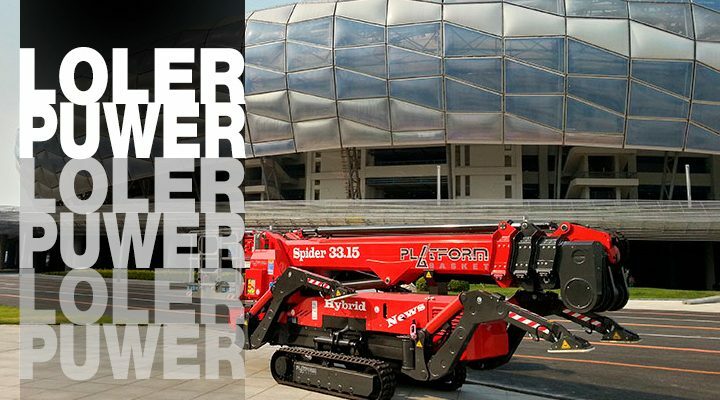 For example, machines such as tracked access spider lifts can be used indoors or outdoors and are lightweight and adaptable for fragile ground surfaces. There are also duel function access platforms which can be driven on the road and on railway lines to reach difficult parts of the track. All-terrain vehicles that are four wheel drive and durable for use on ice, mud and sand are also available. Often the cost of a job comes down to how quickly and safely it can be completed and how to cause the minimum disruption. Whatever the size of your business or the nature of your work, if you have to carry out jobs at height then powered access platforms can save you money. They are safe, easy to operate and fully mobile and flexible for a wide range of jobs and locations. It may be sunny this morning but was there heavy rain last night and the night before that could mean unstable ground conditions? Ground conditions are essential to the stability of powered access platforms and jobs at height are carried out on a variety of surfaces. Different types of access equipment are suitable for use on a range of different surfaces, indoors and outdoors. Whether you are using an access platform on wheels or a jack or outrigger, choose the right type for the working surface. The weight of the access equipment could cause ground to shift mid-job which will make the machine unstable and risk falls or over-tipping. Ground Assessment – A visual inspection may be fine but some sites may need a full geotechnical survey . The assessment should be made by someone with enough knowledge and experience to bring in expert help if necessary. 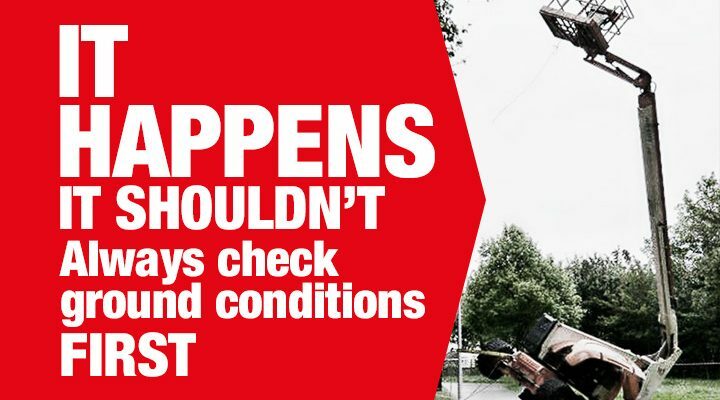 Be flexible – Ground conditions can vary in different areas of the same site so be prepared to assess each individual location for the access equipment, especially when using mobile access platforms such as booms or scissor lifts. Spreader plates – Most soils, unmade ground and some paved areas are not capable of supporting the high pressure created at the feet of outriggers. Spreader plates should always be used with boom-type mobile elevating work platforms (MEWPs) when fully supported on their outriggers. Spreader plates should be used with all other MEWPs that have outriggers unless a risk assessment indicates they are not necessary. Spread the Load! • Streets, paths and gardens – Paved areas might look strong but could have been laid on weak ground or have shallow services underneath. • Indoors – Many floors, cellars and basements are incapable of bearing the weight of access equipment so care must be taken when siting equipment indoors for a job. • Sand – Low sand density and high or variable water tables can create difficult conditions on sand. • Ice and snow – Regular checks should be carried out as frozen ground can quickly become soft as it thaws. • Rural areas – Many rural areas require an off-road vehicle. Take extra care when working next to rivers, estuaries and flood plains. • Urban streets – Take extra care when siting equipment on estate roads or areas that are used to light traffic rather than those used regularly by heavy commercial vehicles. • Underground Services – Sewers, drains, manholes, gas and water mains can be close to the surface and may be damaged by the weight of a powered access platform or could even collapse and cause the machine to become unstable or overturn. The key to using access equipment on different surfaces is to be flexible and prepared to keep checking the ground conditions in case there is any change. It is better to check and make adjustments than wait for problems to occur, especially as it is easy to adjust the stability settings of most access equipment. Make sure you have the right type of platform for the job and that your checks are carried out properly and regularly so the access equipment will do a safe job on most types of ground surface. Powered access platforms are only safe and efficient if they are in premium working condition and regular inspections and MEWP maintenance are required by law for lifting equipment. Making sure access equipment is stable, safe and fit for purpose is essential to health and safety and means jobs at height are completed faster and more efficiently. Whether it is a new or used access platform, keeping the access equipment in prime working condition extends its performance and lifespan and increases value for money. It is a legal requirement to make sure access platforms are tested and thoroughly examined at regular intervals by a qualified person – six months for anything lifting people and 12 months for machines lifting just equipment. See the HSE publication “Lifting Operations and Lifting Equipment Regulations 1998. Approved Code of Practice and guidance” for the regulations. The HSE publication “Provision and Use of Work Equipment Regulations 1998. Approved Code of Practice and guidance” is available from their website here. Without a valid LOLER certificate, you should not use your machine. We offer a free LOLER reminder service to save you the problem of remembering your access platform’s (LOLER) examination. See our LOLER reminder and simply enter the date of your next LOLER examination and we will not only contact you prior to that date, but also issue a LOLER reminder to let you know when it is due. Powered access platform maintenance is important to meet regulations and maximise the functionality and safety of the equipment. To comply with LOLER 1998 and PUWER 1998, have access equipment tested and thoroughly examined at regular intervals by a qualified inspector or engineer. Getting your powered access platforms inspected and serviced regularly is not only a legal requirement but a way to guarantee it is operating at peak performance, getting jobs at height completed faster and more safely and to avoid any unnecessary accidents.